Have breakfast regularly every day this is the most important thing. Daily breakfast is an important habit needed to maintain health. By skipping the first meal of the day, we increase the chances of developing obesity, diabetes or even a heart attack. Of course, the set of breakfast meals is important. People who eat whole grains every morning almost immediately feel the health benefits. People who eat breakfast each day are one-third less likely to be overweight than those who skip breakfast in the morning. In addition, they are twice as likely to have problems with elevated blood sugar levels, leading to the development of diabetes and cholesterol levels, which is a known risk factor for the development of heart disease. Eating in the morning can help stabilize your blood sugar levels and regulate your appetite. People who eat breakfast are less likely to overeat the rest of the day. Breakfast can be a very good source of vitamins. 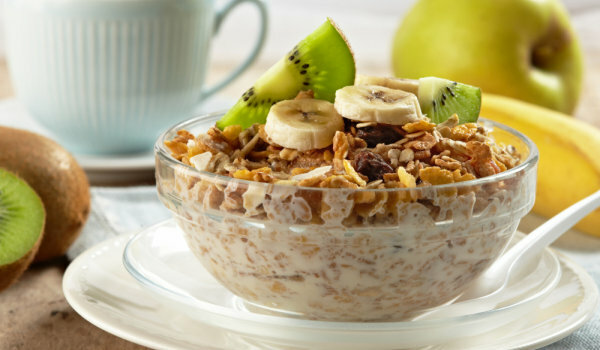 Obviously, traditional fast food and high-calorie foods contain too much fat, but toasts, cereals, and especially muesli have undoubted benefits. Morning intake of food should include protein and unsaturated fats, especially omega-3, contained in flax and soybeans, oatmeal, certain nuts and seeds. 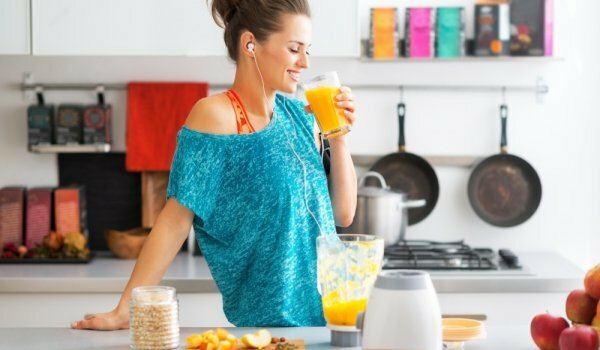 Breakfast is an important part of your day, but that does not mean that the breakfast process should take a long time. Just try to eat natural food. Grain bread, yoghurt and fruit are all you need to start the day with pleasure and benefit for the body. If you do not have much time, add nuts and fruits to your yogurt. Give preference to cereals. Choose a type of grain that is low in fat and high in fiber. It is possible to add pieces of fruit to the oatmeal to improve the taste. Breakfast should be 25% of the daily nutritional needs. Ideally, the amount of food at a time should be such that it fits your palms. Good breakfast is part of oatmeal. You can add fruit pulp – apple or other fruit of your choice. For those who do not have the time to cook, there is an alternative – muesli, soybean or yoghurt. The basis of a balanced vegetarian diet is grains, cereals and legumes rich in fiber and plant proteins. It is best to combine them with each other using different cereals and legumes (eg rice and beans). 3-4 servings of cereals, cereals and legumes should be eaten daily. For one serving, for example, half a cup of porridge, 50 grams of durum wheat or 1 whole grain bread is taken. The second strong side of a vegetarian diet is vegetables and fruits. Given the rather low calorie content of most vegetables and fruits, they can be consumed in large quantities – 4-5 servings a day if you take a small vegetable or fruit per serving. You should also pay attention to protein-rich foods. For vegetarians it can be milk, curd, cheese and / or eggs. It would also be good to include soy products (such as tofu) in the menu, which are also important for vegans. 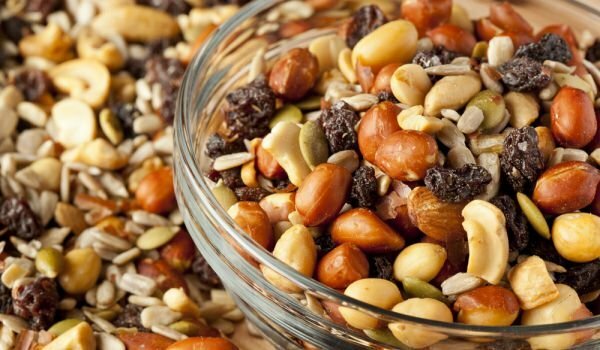 Protein-rich foods include nuts and seeds, which are also a good source of microelements (including zinc, iron) needed for human health. However, nuts are a high calorie product (about 550-600 kcal per 100 g) and it is not recommended to use more than 30 grams per day. At the top of the balanced diet are sweets and fats. Because of their high caloric content and sugar content, their quantity should be limited, but since they contain many beneficial substances, it is not desirable to exclude them altogether. For fat an advantage should be given to unrefined vegetable oils, extra virgin olive oil and a small amount of molten butter (eg 10 g per day). It is not necessary to exclude sweets from the diet – it is better to prefer dried fruits and bitter chocolate for pastries. They will bring you not only pleasure but also benefits.